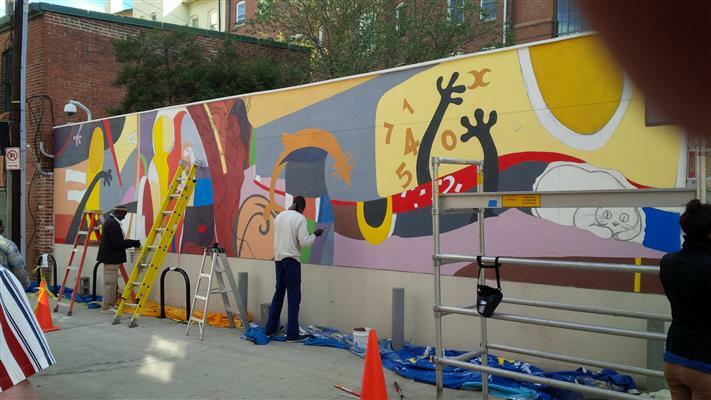 Following the success of the Senegalese Artist Exchange project in Dakar, Art in Embassies collaborated with The Phillips Collection, Millenium Arts Salon and Cultural DC on the 2014 International Forum Weekend Leading Edge Ideas; Inside the 21st Century Museum, sponsoring four artists from the mural collective to travel to Washington D.C. in October of 2014. 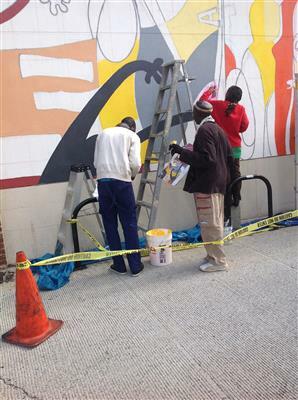 Following the success of the Senegalese Artist Exchange project in Dakar, Art in Embassies collaborated with The Phillips Collection, Millenium Arts Salon and Cultural DC on the 2014 International Forum Weekend Leading Edge Ideas; Inside the 21st Century Museum, sponsoring four artists from the mural collective to travel to Washington D.C. in October of 2014, to create and execute an exterior mural in the Hillyer Court, during the week preceding the Forum Weekend. 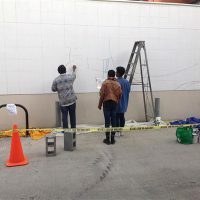 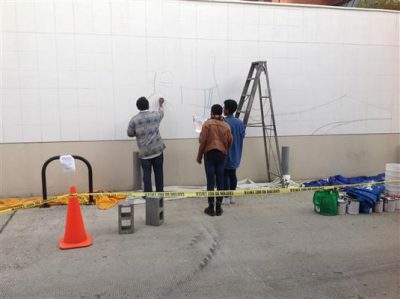 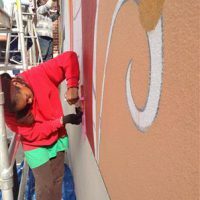 The four artists: Muhsana Ali, Fodé Camara, Viyé Diba and Piniang (Ibrahima Niang), started work on the mural with a general grid and outline of the composition on Monday morning. 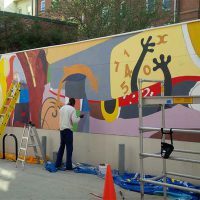 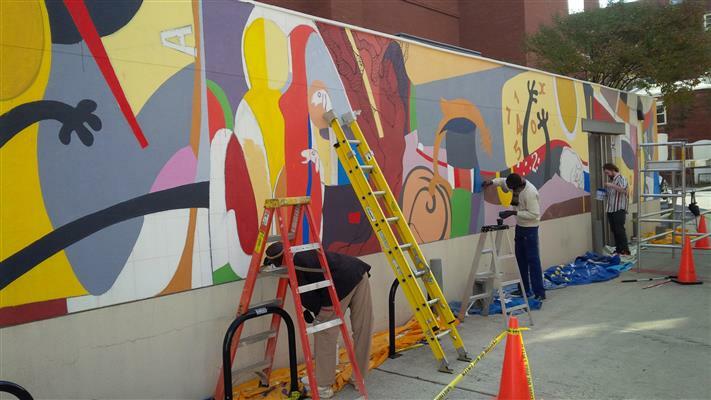 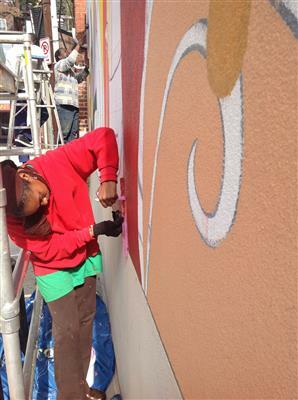 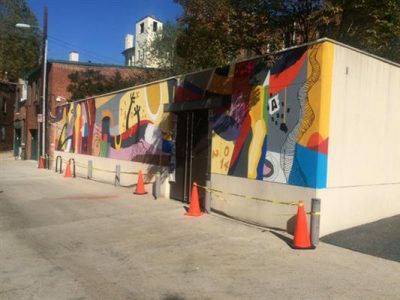 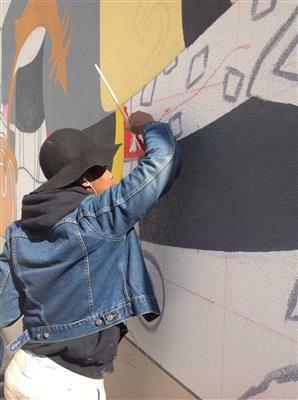 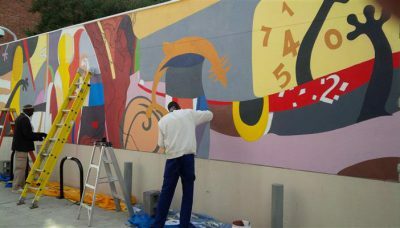 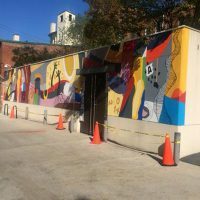 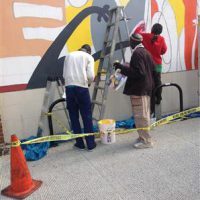 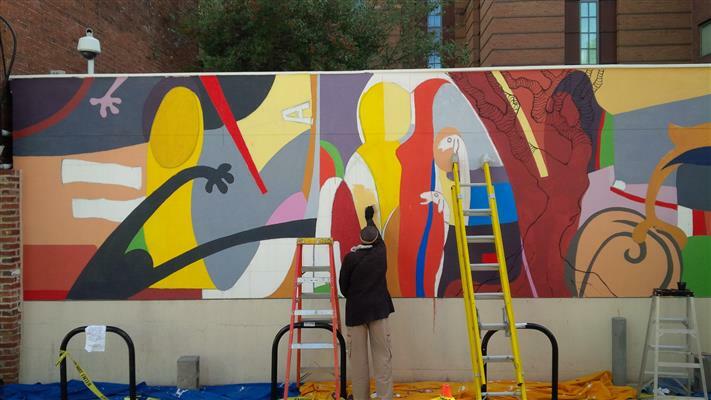 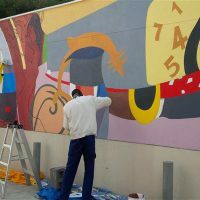 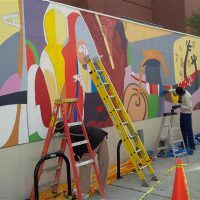 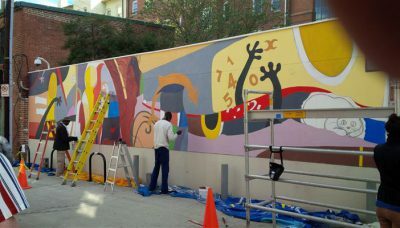 Over the next four days, with the assistance of student volunteers Tyree Brown, Nahja Collins, Mike Guy and Chloe Rubenstein, the mural took shape and form, revealing a vibrant, colorful semi-abstract design. This exciting collaboration between AIE and The Phillips Collection during International Forum Weekend terminated with a panel discussion, moderated by the director of the Smithsonian National Museum of African Art, Dr. Johnnetta B. Cole in which the four artists and former U.S. 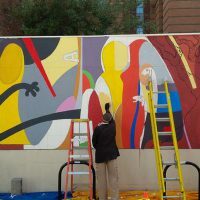 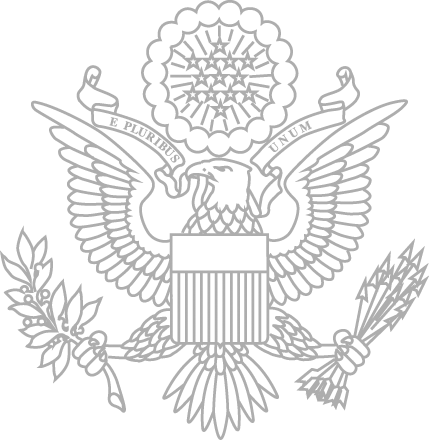 Ambassador to Senegal, Harriet Elam-Thomas, discussed topics in modern and contemporary art in a global context, and the role of art in diplomacy. 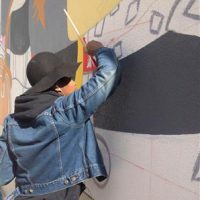 Ali, Camara, Diba and Piniang’s participation in the panel was a resounding success and reinforced the Art in Embassies Cultural Exchange program, a critical component of Art in Embassies’ mission.